Welcome to the Glenkrag blog, we aim to keep you as informed as possible with the latest news, views and reviews, of products, website updates and anything else which is relevent to our trade. 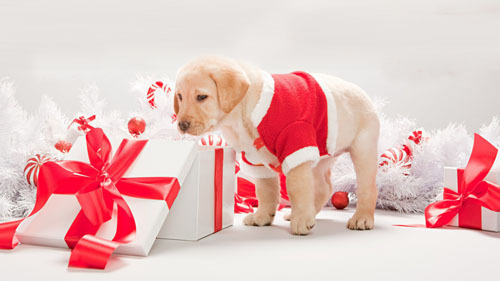 We are pleased to have agreed distribution for Unipet Intl. and look forward to receiving our first massive order in the coming weeks. Wild Bird Foods and feeders is one of our fastest growing categories, their Suet Wild Bird Foods are high in energy, less mess and great value for money. Unipet is Europes largest manufacturer for wild bird suet Suet to Go is its own brand We will be launching 20+ sku`s - from a hang and feed range to bulk items Glenkrag hope that this addition to their portfolio and that of its retailers will continue to ensure the wild bird food category continue to grow in sales Feeding suet products to your garden birds provides them with essential high-energy proteins. Suet Blocks will attract similar species to Suet Balls, but because of the nature of the cage they go in it is relatively easy for ground feeding species such as robins and even blackbirds to stand on top of the cage to feed (hanging the cage next to a branch will also help them). 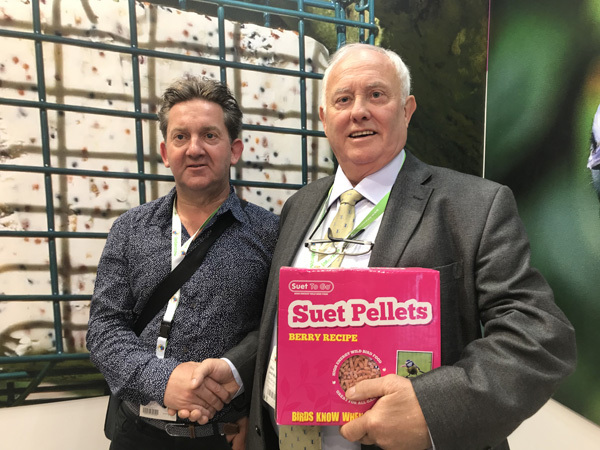 If the product is very cheap, then chances are that there`s relatively little suet in the ball and fillers such as wheat flour are used to keep the cost down, this has no benefit for the wild birds. With Suet Balls you can be assured of a high suet content at all times, thus giving the birds more benefit with no waste. It seems that Christmas Pre-Sells get earlier and earlier every year, and indeed this year they have. So early in fact it was even still snowing when these were being produced in the office which added to the festive feel. Our 2018 Christmas Pre Sell is now online and available to download from the Pre-Sells page of our website. Following on from last year`s success we`ve included lines from Forthglade, Kong, Ancol, Laughing Dog along with the entire Armitage Festive offering. Have You Joined Our Fish WhatsApp Group Yet? In recent months John McCready has been busy creating new initiatives to promote our fish and give our customers the best possible service. 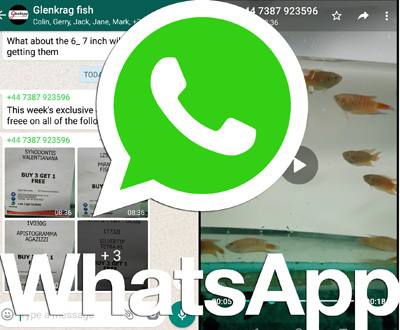 With that in mind John has created a WhatsApp group for our fish customers so we can share new arrivals, videos, photos and exclusive special offers of our fish. It’s a great way for us to showcase the fish we have in the tanks at the minute as well as being great way for our customers to see what the fish are like in the tanks, giving customers and opportunity to see fish that they otherwise may not have thought about or considered bringing in and also letting them see the health and general aura of the fish. If you haven’t yet joined the WhatsApp group and you want to, you can by asking John to add you by e-mailing john.mccready@glenkrag.co.uk or messaging 0(044) 7287923596 letting him know your name and store you are from. 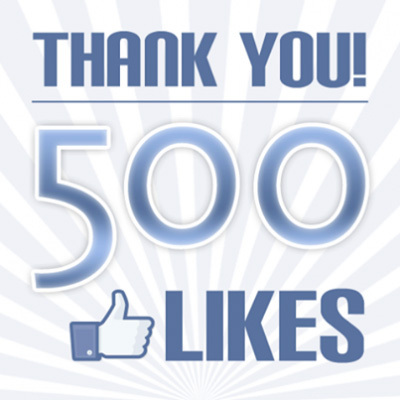 Our Facebook page has now exceeded 500 likes and continues to grow. Featuring interesting news on products, offers and the odd funny we aim to bring regular updates through our page. Over the past year we`ve been working on a new website, working to the brief of keeping it as familiar as possible while utilizing newer coding features which will hopefully speed it up and also working through a list of small tweaks and improvements we could make along the way. In a soft change over we launched our new website on Saturday, if you haven`t noticed, then we`ve done a good job in keeping the look and feel the same. - Glenkrag Logo is now an active link to the homepage, something that has become a design standard in recent years. - The Basket/ Checkout now has an extra link to it on the top right making it easier to find. The big thing is that the new site is now one site with a responsive design, there is no longer a Desktop site and a Mobile Site, there is just one site now and the server reads your screen size and presents you with the appropriate site (unless you have your mobile browser set to "show desktop site"). There`s 3 layouts designed to be a Big Screen Desktop Version, Medium Desktop Screen/ Tablet Version and a Mobile Version, they each display the same information. We hope this will present an interface suitable for whatever device you are viewing on. So there you have it, our new Website, it`s just the same as the old one, but better. Come the start of the February Glenkrag has listed a small selection of Hamac Plug n Play Water Features, some Table Top water Features and a selection of Pond Pumps all from the companies Aqua Creations range. As well as the lines Glenkrag stock which you`ll find on our website and in our catalogues, we can also Transfer Order anything else in the impressive Hamac Range. Our Reps now have Hamac Catalogues and order forms and orders placed with them should be assembled and despatched within 24 hours of being placed and be with you via courier within 2-3 days of being placed. At the end of March Brian from our IT department visited the Hamac showrooms and got some video footage when he was there which we`ve used in recent days to create product videos for each of the lines we stock as well as creating a video of a tour of most of the Aqua Creations and Massarelli ranges, this can be viewed on our YouTube Channel (youtube.com/glenkragtv) or by going directly to the link at the bottom of the page. In recent years it has become a Glenkrag Christmas tradition for the company to recognise their long serving employees who have reached 21 years of service during the past year. This year the recruits of 95 reached the 21 years service landmark and on Friday the company came together to for the presentation of watches for three of the employees, Hans McClean from the Fish house, one of our Road Reps Gary McMahon and the now Tele Sales manager Colin Murdock. Following a few words from the managing director, Jack McCready, Hans and Gary stepped up and added a few words of acceptance while Colin was rendered speechless, something his customers will find uncharacteristic. On Monday morning a further presentation took place for Tracey Patterson who looks after the customer credits in the sales office. The four members of staff who received watches for 21 years of service brings the total of staff members to have reached the landmark to fourteen. The company would like to extend their thanks to all four members of staff. 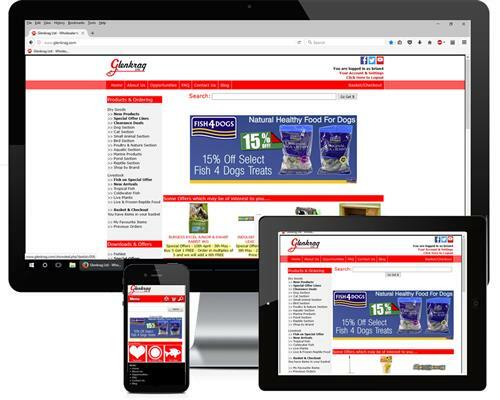 If you order Kong products regularly from Glenkrag then you may already have noticed that in the last week we have changed our order codes for the range we carry. In the past all our Kong codes started with a CO Prefix, this was a historic code that went back to when Kong was distributed by the Co. Of Animals, something that ceased to be the case a few years ago. We have now changed the prefix for our Kong products to KO, making it easier to signify which lines are Kong and which lines are Co. Of Animals from the Prefix. We`ve also gone a step further and where our codes had no significance to any of the markings on the product we have changed our code so it reflects what is on the product, a Small Classic Kong Toy for example was CO010 has now become KOT3, KO being the Kong Prefix and T3 being the code on the product. We hope by switching to these codes it`ll make it much easier for our customers to lift a product and find a code which relates to our code and is then easier to order or to find on our website. If you`re thinking that is a good idea BUT I`m now going to need to recode everything I had before then there is more good news, we have added the old codes to the search reference tags for each product on the website and we`ve done the same in our Order processing system, so if you ordered CO010 in the past, you can still order CO010 going forward and you`ll receive the correct product, it`ll just be KOT3 on your invoice. Below is a link to the PDF detailing the code changes, should you wish to update your systems.